Amazon is one of the most popular affiliate companies because it is easy to use and the barrier to entry is really low. If you have a website and make a few sales a year, you can keep an affiliate account at Amazon. One: Use just a link. 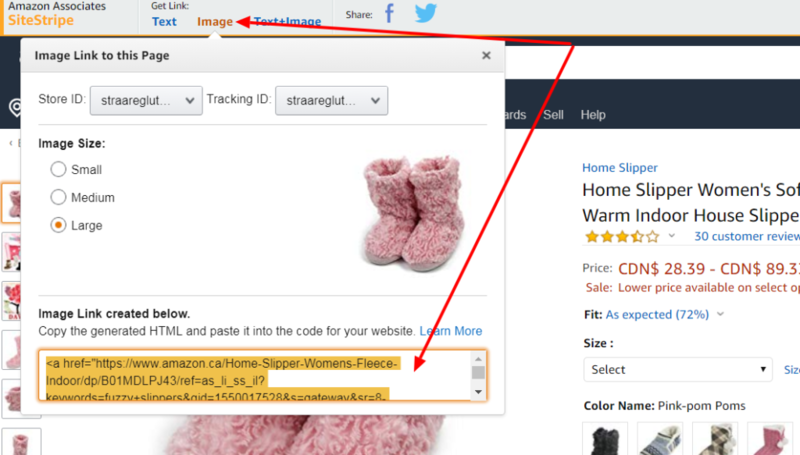 Navigate to amazon, login (so you can view your “Site Stripe”), search for the product you’d like to promote. Click “Text”. It is already selected, so just click “copy” with your mouse or <Ctrl> + <C>. 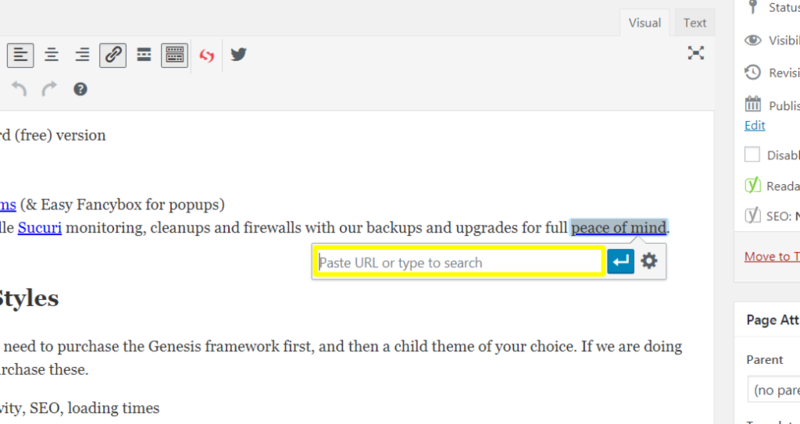 click the chain link icon to paste the link. Or just click <Ctrl>+<K>. Paste the link – and voila! Your new link will take your potential buyers directly to that amazon item. The great thing about this is you don’t even need to take the picture yourself! As before, navigate to Amazon, login, make sure the “SiteStripe” is visible. Then open up your post and find the section talking about your item-to-promote (fuzzy slippers). Wherever you paste this code, an image will appear. It can be above, below or beside a paragraph. 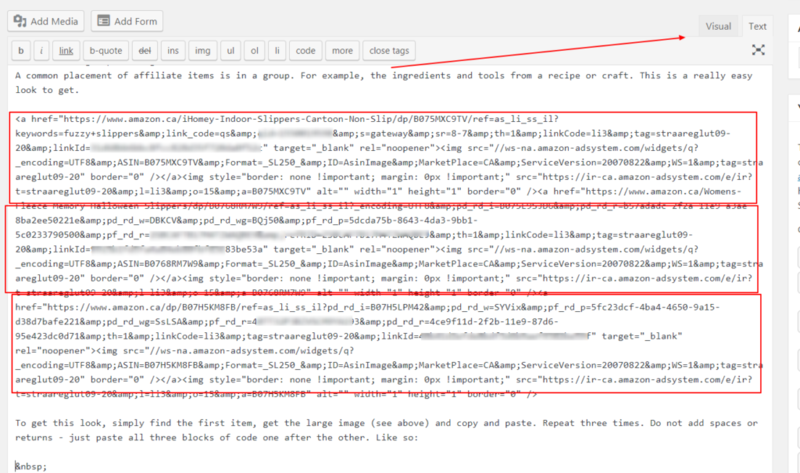 Paste the code into the text tab (html block in Gutenberg). A common placement of affiliate items is in a group. For example, the ingredients and tools from a recipe or craft. This is a really easy look to get. To get this look, simply find the first item, get the large image (see above) and copy and paste. It looks more intimidating than it is! Literally copy – paste -times three. Remember that affiliate sales only work if you’re getting traffic to see your promotions! And sales convert at 1-3% usually of those who click. And you’re doing really well if you get 20-30% of your audience to click! It takes work, but once you get 1,000 or so visitors a day this is a better option than adsense!